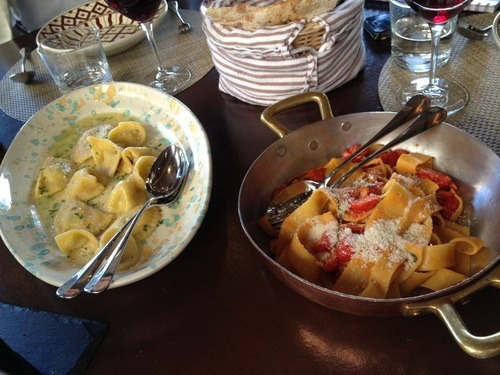 Where better to learn how to cook pasta than in the Tuscan countryside. 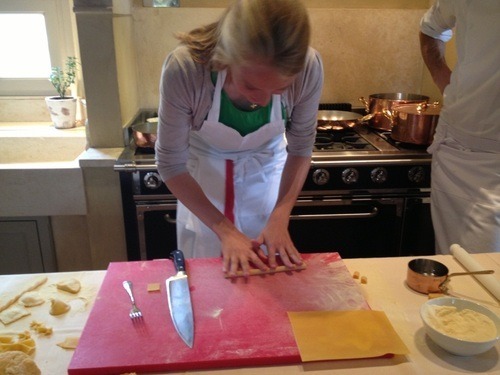 Charlotte & Helen from our Ski & Mediterranean team were lucky enough to go and stay at the breath-taking Castiglion del Bosco in the middle of May and were treated to a cooking lesson with a great Italian chef. The class takes place in the beautiful & professional Italian kitchen above the old Osteria, which is a relaxed Italian eatery. Our Italian chef had learned to cook from his mother and grandmother but had since gone on to cook Italian cuisine all around the world. We started by making the dough from scratch and then went onto use the traditional pasta maker for stretching out the dough. The chef went on to tell us about all different types of Italian pasta and the correct way to make all the different shapes and sizes as well as all of their names. The chef was fantastic and really made it seem so easy; he was very helpful when we struggled slightly. He gave us plenty of tips whilst we were cooking, from when to put the salt in the pan to which type of tomatoes to use for the sauce, he taught us the true Italian way. 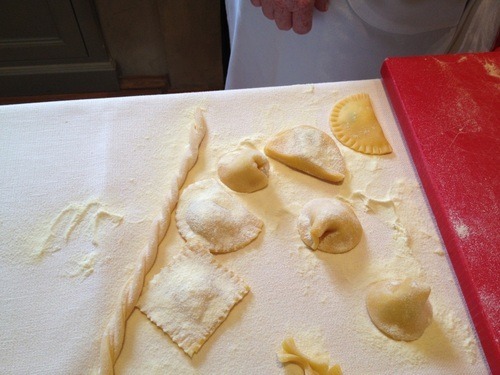 Everyone taking part in the class then got to eat their handmade pasta either in the kitchen restaurant or downstairs in the Osteria, which is set around an enormous tree and not only has a superb view but also the most amazing service and staff. 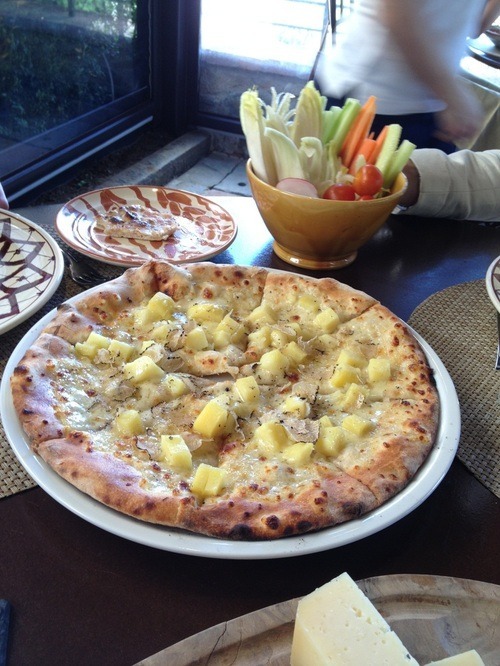 Of course we had to try a pizza here as well as our own pasta! Everyone leaves with the recipe printed with a little parting gift as well, and I will definitely be recommending this to everyone who stays at this first class hotel.